Last weeks Wishlish Wednesday seemed successful so a week later we're here again!! 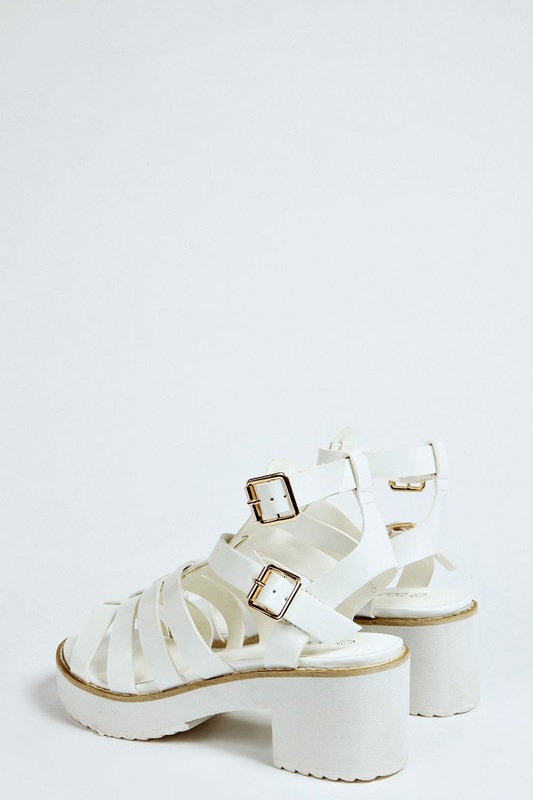 After purchasing my first pair of shoes from Boohoo.com last week, (see blog post here) I found myself lusting over many more pairs and I cam across these absolute gems. 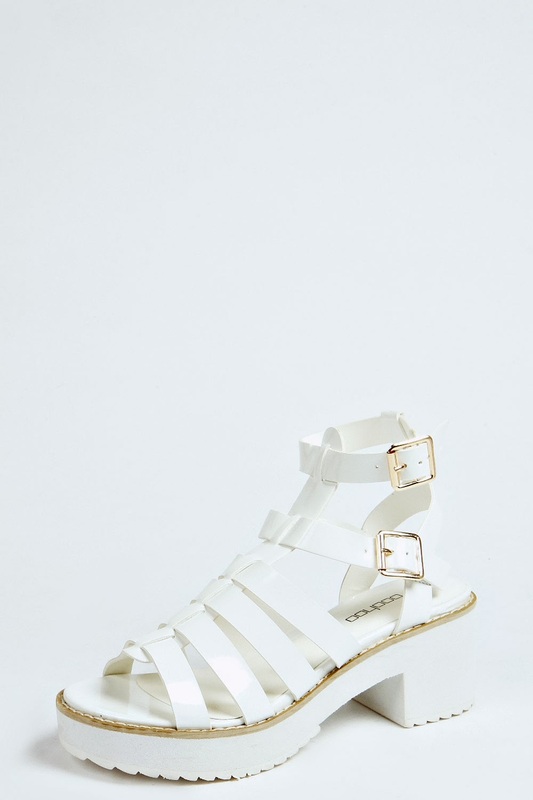 The "Kendal Patent Cleated Sole Gladiator Sandals", I have no other words but WOW. I've tried venturing out of my comfort zone of monochrome over the past few weeks but I seem to have returned to it however being more adventurous with the items I style. Boohoo have got it spot on with these sandals, I feel they are so versitile which is a must with the UK's unpredictable weather forecast. Despite the fact I am already 5'9 the chunky heels appeals to me more than ever, comfort and style - winner!! I would love to style these with a pair of mom jeans which I am yet to purchase, with a black turtle neck jumper topped off with my long, white Primark jacket.